Playwright, screenwriter, journalist. He was born in Vacíkov on 11 April 1951. He studied dramaturgy at FAMU and worked for a short time at the Barrandov Film Studio, which he had to leave in 1979 for political reasons. 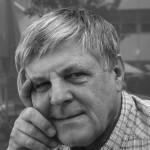 He began publishing his work in magazines in the seventies, worked for radio and television, collaborated with the Drama Studio in Ústí nad Labem and, as a dramaturge and author, at Prague’s Theatre on the Balustrade. 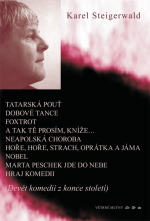 His first play was Juro Jánošík (Dilia, 1974), which was followed by Dobové tance (Period Dances, Dilia, 1981) from the period of Bach’s absolutism in the Jičín region and the “farce for two noblemen” A tak tě prosím, kníže (And so I beg you, Prince, Dilia, 1982). In the burlesque Foxtrot (Dilia, 1982) he used the events of 1919 – 1945 as the basis for criticizing the suppression of democracy, and in the drama Tatarská pouť (The Tartar Fair, Dilia, 1988) the events of the 1950s and 60s. 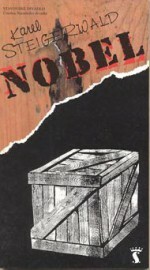 While his previous plays had been devoted to criticism against the background of specific historical events, the drama (transformed into a radio play) Neapolská choroba (Neapolitan Disease, Dilia, 1984) is a bizarre sociological science-fiction about a hospital in the woods, which the character of a chamberlain visits after an unspecified disaster to treat his banal health problems. This was followed by the plays Hoře, hoře, strach (Woe, Woe, Fear, 1989), Oprátka a jáma (The Noose and the Pit, 1991), První kroky demokrata (The First Steps of a Democrat, 1990), Hospoda všedního dne (The Pub of Everyday Life, 1990), Italské pohyby (Italian Movements, 1990) and the comedy Nobel (1994), which were published collectively together with the author’s previous dramas by Větrné mlýny publishers in 2005 under the title Devět komedií z konce století (Nine Comedies from the End of the Century). In the play Políbila Dubčeka (She Kissed Dubček, Větrné mlýny, 2012) Steigerwald works with the theme of a fateful kiss – a female student called Jaruna first kisses the poet Allan Ginsberg during the students’ spring celebrations, then later Alexandr Dubček, and now is supposed to kiss the Soviet leader Leonid Brezhnev too. With this play the author wanted to “destroy the erstwhile illusions and myths and kitsch which have piled up over the last forty years about that period, especially concerning the Russian occupation and the student rebellions”. 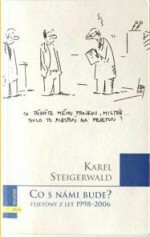 As a commentator and columnist Steigerwald is the author of the books Obrana sprostých slov (In Defence of Bad Language, Barrister & Principal, 1999), Jak se volí prezident: výběr z článků k prezidentským volbám (How a President is Elected: A Selection of Articles on the Presidential Elections, Centre for Economics and Politics, 2003), in which he summarizes his articles from the newspaper MFDnes from 2002 and 2003, and an anthology of feuilletons from the years 1998–2006 entitled Co s námi bude? (What Will Become of Us?, Albatros, 2006), and he is also one of three authors of the book of feuilletons Dějiny v manéži (History in the Ring, Euroslavica, 2013).